Decorating Christmas tree with your family is probably one of the most exciting things to do during the holiday season. You don’t have to buy some expensive and fancy decors. With creativity, you can make your own Christmas ornaments with very simple materials. 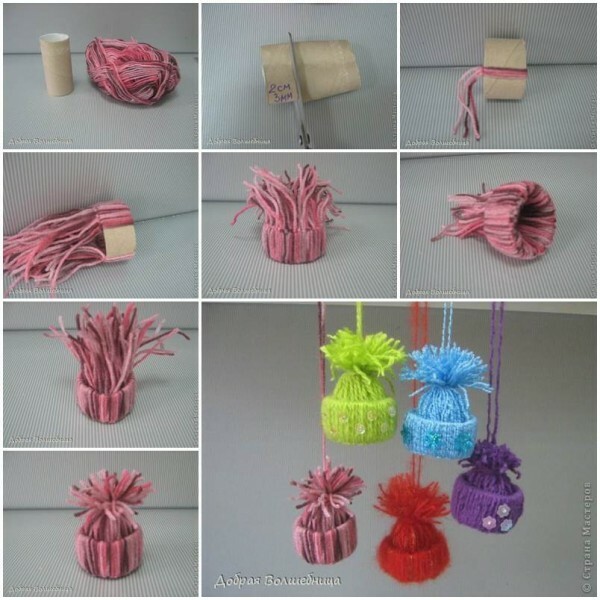 Here is a super cute idea to make yarn winter hat ornaments. They are so cute and colorful! They are super easy to make. All you need are some yarn and empty toilet paper rolls. It’s a nice way to use up your leftover yarn and recycle toilet paper rolls. You can use these cute winter hat ornaments to decorate your Christmas tree or make a colorful garland to decorate your room. You can also make a mobile for your baby. Happy crafting!